DR. GRAY BRECHIN IS AN HISTORICAL GEOGRAPHER AND AUTHOR whose chief interests are the state of California, the environmental impact of cities upon their hinterlands, and the invisible landscape of New Deal public works. He received a B.A. in history and geography, a M.A. in art history, and a Ph.D. in geography from the University of California at Berkeley with which he has been closely associated for nearly fifty years. He was the first director of the Mono Lake Committee and worked during the 1980s as journalist and TV producer in San Francisco. The writings of Lewis Mumford and a winter sojourn in Venice in 1985 focused his concern on the environmental costs of building “imperial cities.” He returned to the U.C. Berkeley Department of Geography in 1992 to write a dissertation using San Francisco as a case study of how all great cities operate at the expense of their environs for the benefit of dynastic elites, especially the Thought-Shapers who control mass media. Published by U.C. Press in 1999 as Imperial San Francisco: Urban Power, Earthly Ruin, the book spent sixteen weeks on the San Francisco Chronicle’s best-seller list and is now considered a classic of urban studies. In the same year, U.C. Press published Brechin’s collaboration with photographer Robert Dawson Farewell, Promised Land: Waking from the California Dream which chronicles the Golden State’s declining environmental and social health. Dr. Brechin is a frequent radio and television guest and a popular public speaker. 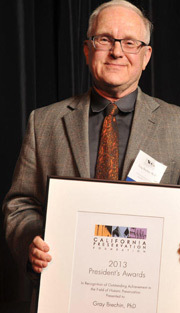 The California Preservation Foundation gave him its 2013 President’s Award and the Book Club of California presented him with its Oscar Lewis Award for outstanding contributions to Western History. 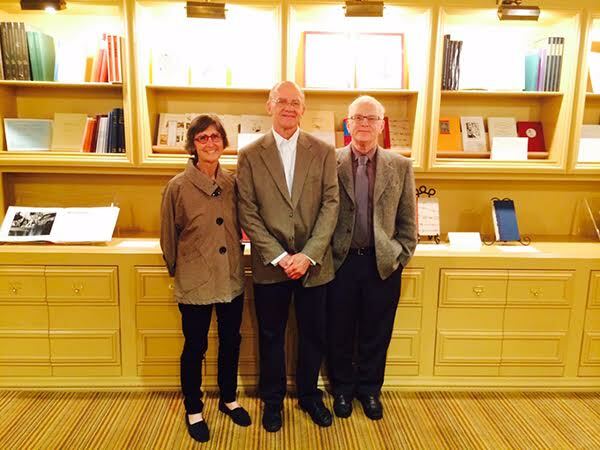 He is a Companion of the Guild of St George for which he delivered the 2014 Ruskin Lecture in Sheffield, England. He is currently a visiting scholar in the U.C. Berkeley Department of Geography and founder and project scholar of The Living New Deal. Dr. Gray Brechin, one of three recipients of the Oscar Lewis Award in 2015.